A handful of Marshall defenders push Old Dominion’s Melvin Vaughn (9) out of bounds during the first quarter of a Nov. 14 Conference USA football game at Joan C. Edwards Stadium in Huntington, W.Va.
Marshall wide receiver Tyre Brady hauls in a touchdown pass during a Nov. 14 Conference USA football game against Old Dominion at Joan C. Edwards Stadium in Huntington, W.Va.
ALBUQUERQUE, N.M. (AP) — Leading up to the New Mexico Bowl, Marshall wide receiver Tyre Brady kept hearing about Colorado State’s explosive offense. Doubters were overlooking the Thundering Herd’s own weapons, he thought. So when Brady’s chance came in the second quarter, the junior separated himself from Rams coverages and sprinted to a 76-yard touchdown reception for the first of three big scoring plays that allowed Thundering Herd hold off the Rams 31-28 on Saturday in the New Mexico Bowl. He was joined by Keion Davis, who rushed for 141 yards, including a 68-yard touchdown run . Tyler King added a 90-yard rushing touchdown for the Herd (8-5). Chase Litton threw for 262 yards and two touchdowns, overshadowing the much-hyped Colorado State quarterback Nick Stevens, who was sacked five times. “I think it’s the entire defense played tremendous,” Marshall coach Doc Holliday said. “That’s an excellent offensive football team”. The Thundering Herd are 11-2 in bowl games — 5-0 under Holliday. For Colorado State (7-6), it was another disappointing postseason. The Rams have lost four straight bowl games, and lost four of their last five this season after a 6-2 start. Stevens threw for 320 yards and ran for two touchdowns for the Rams, but was sacked five times. Olabisi Johnson had 119 yards receiving, but Stevens was unable to connect consistently with standout Michael Gallup. Colorado State’s offense began to surge in the fourth quarter with 14 points, but Marshall’s defense was able to hold the Rams. Colorado State is 6-11 in bowl games. Colorado State: The Rams continued to struggle despite having being ranked 10th in the FBS in yards per game with 501.1. 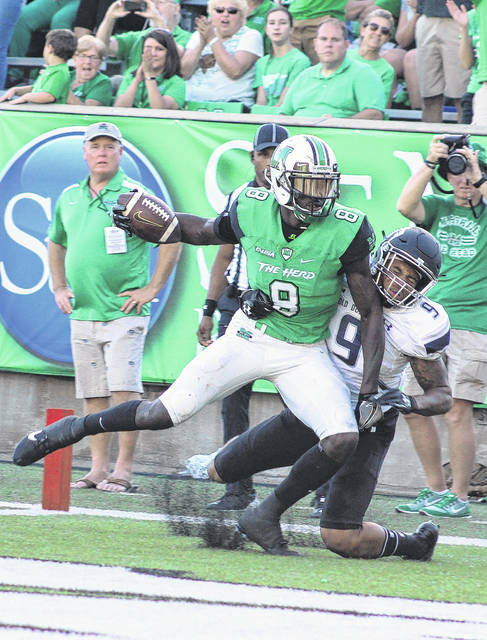 Stevens and Gallup failed to challenge Marshall’s stingy defense and couldn’t respond to Marshall’s big plays despite a late game scoring surge. “This hurts but we’ll regroup and get ready for next year,” Bobo said. Marshall: Marshall’s defense also kept constant pressure on Colorado State’s high-octane offense preventing the Rams from threatening with an air attack most of the game. Colorado State: Bobo has led the Rams to three bowl games in each of his first three seasons. He recently signed a contract extension where he will earn $2 million by 2020. But at the same time, he’s only won seven games each season and lost all his bowl games so 2018 may be key season for him. 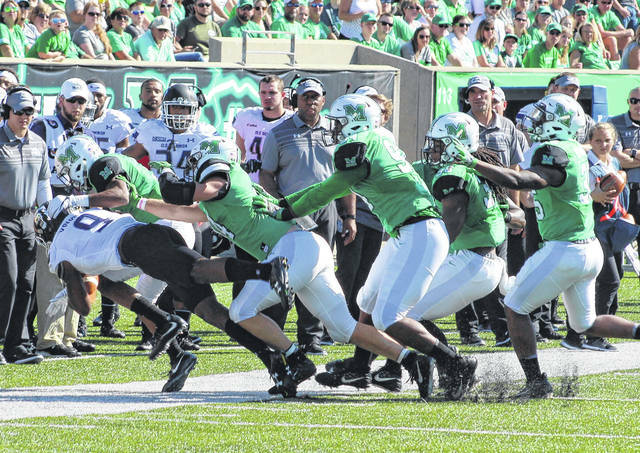 Marshall The Herd are losing 13 seniors, including key tight end Ryan Yurachek. The four-year players in that group won 34 games and a conference championship and went to three bowl games. But many key players are set to return.